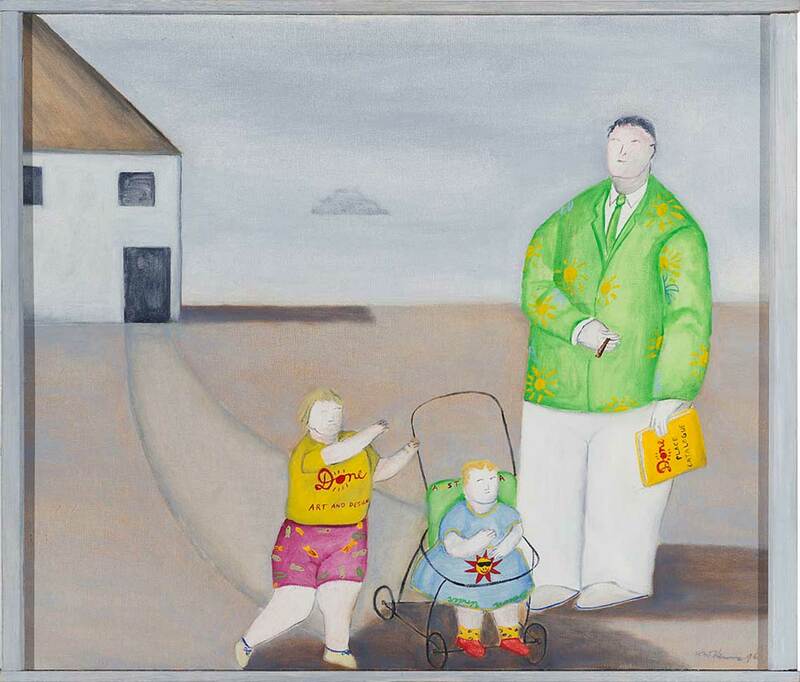 Noel McKenna’s signature child-like style is evident in these charming paintings from the exhibition ‘Welcome to Done Place’. The exhibition was a humorous observation of the phenomenal success of artist and designer Ken Done, whose imagery has penetrated Australian tourism and popular culture since the 1980s. Sydney based McKenna tackles his subjects with a characteristic combination of innocence, melancholy and an occasional biting wit, which carries a double-edged message of someone both affectionate toward, and strangely aloof from, the everyday, often banal experience of suburban life.